A file photo of a polling place. Immigration and Customs Enforcement officers will not patrol polling locations on Election Day, an ICE spokeswoman said in response to social media rumors of potential voter intimidation from the federal law enforcement agency. False claims that ICE is interfering at polling locations have cropped up intermittently over the past two years. In the lead-up to the 2016 presidential election, for example, an image spread on Twitter appearing to show an immigration officer arresting someone in line to vote. The image was a hoax. Concerns re-emerged last week after a wallet-sized flyer bearing the Department of Homeland Security seal, found on a sidewalk in Milwaukee, claimed that ICE officials would patrol polling stations on Election Day. Nicole Alberico, a spokeswoman for ICE, described the flyers as fake. Mary Oglesby posted on Facebook about finding the flyer during a visit to Milwaukee. She immediately became suspicious of the handout and contacted the Milwaukee District Attorney’s Office. “You could tell it wasn’t real because the graphics were really bad,” Oglesby said in an interview with ProPublica. The Milwaukee District Attorney’s Office notified local law enforcement and DHS after receiving the tip, according to a Joshua Mathy, a spokesperson for the office. He added that no other flyers have been reported. 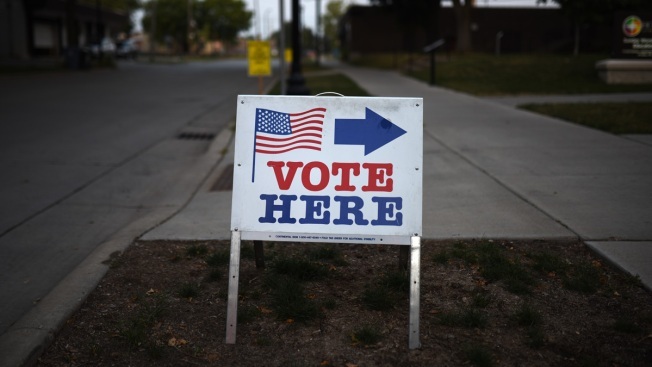 Milwaukee’s election director, Neil Albrecht, said that he was aware of the flyer and that none of his poll workers had reported seeing anything similar at their polling locations.